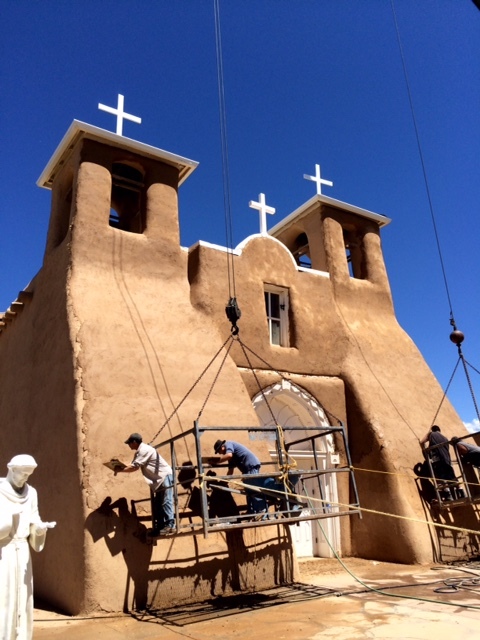 We were on our way back to Denver from a long weekend at the International Pastel Society Conference in Albuquerque, taking the winding and picturesque way home along the back roads of northern New Mexico and southern Colorado, stopping for a night in Santa Fe, then headed north, when we came upon the ongoing repair of this iconic church in Taos. 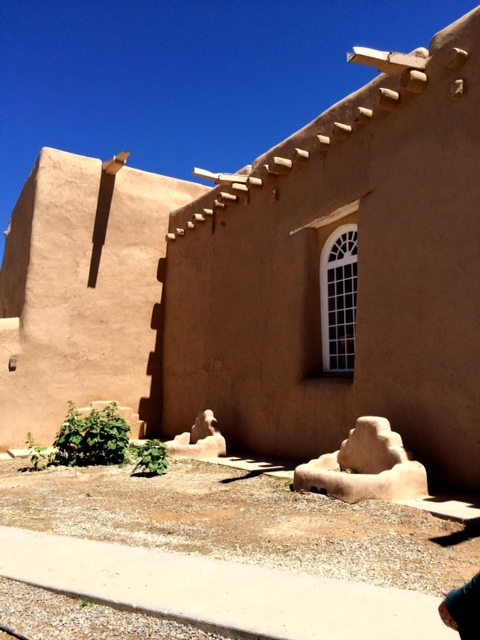 San Francisco de Asis is a lovely, clean-lined contemporary church despite its age, made of the clay, sand, dirt, straw and water stucco mixture authentic to the area. It was a hot morning, but the community was out in force helping the men who applied the mud to the walls as if they were icing a cake with super stiff milk chocolate frosting. 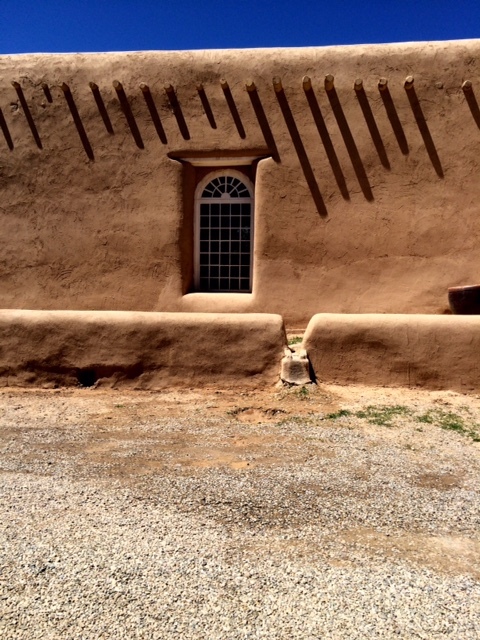 This mud stucco is highly prized for its historic significance and its strong insulation from the heat but requires constant maintenance against the ravages of wind and rain. 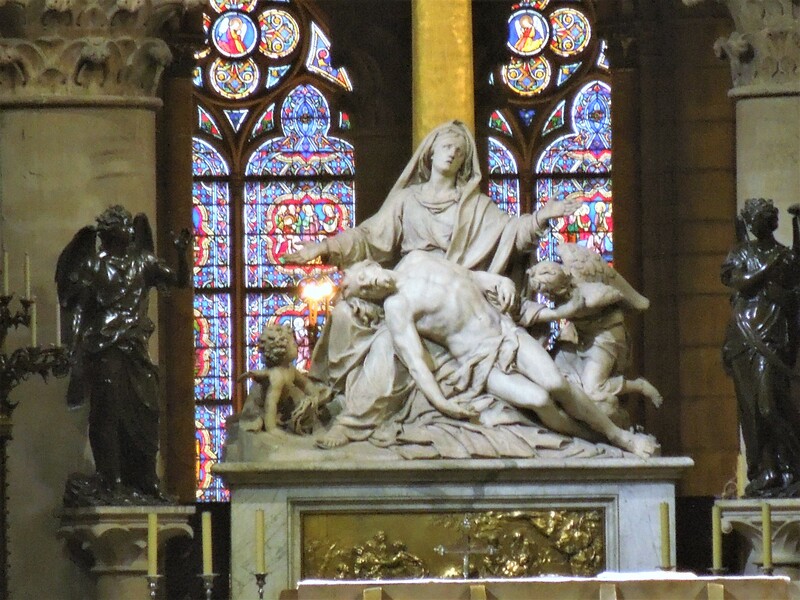 At first, upon our arrival we were disappointed to find that cranes and other scaffolding were “ruining” our pictures of the stunning church, but of course we soon realized how fortunate we were to witness this centuries-old process happening to a very very old church. The sky was immaculate; what I like to call Santa Fe blue in all of its glory. 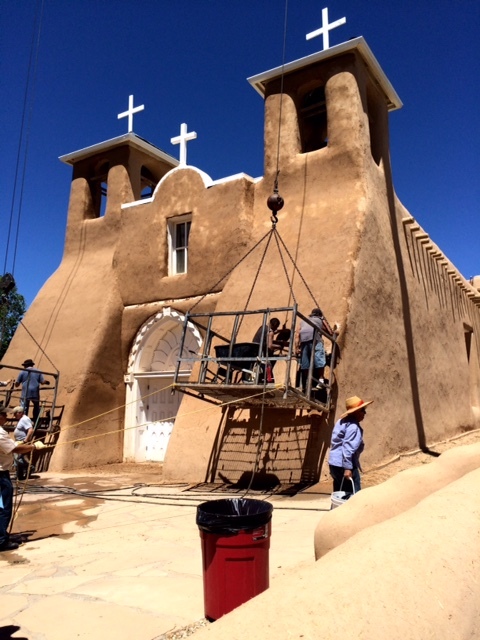 The stark white of the crosses and the slightly rose-brown of the stucco were a gorgeous contrast, but what struck me most was the dedication and joy of the people who were there to help. There were many other examples of Americana and Spanish influence along our drive which will follow in days to come. A road trip such as this, which brings you right down to the ground, literally and figuratively, from aloof and sterile air travel is a great and powerful way to know your country and your fellow man, while teaching you also about yourself and what kinds of things you hold dear. I recommend it; I eat it up and I relish every bend in the road wondering what is next. 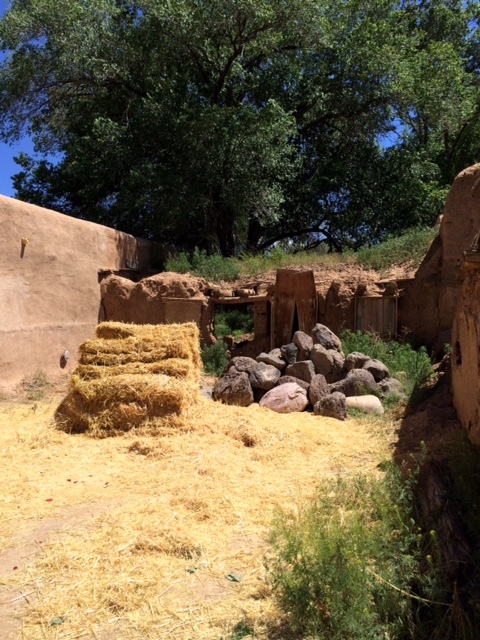 This entry was posted in New Mexico and Colorado, USA travel and tagged authentic mud stucco, Southwest travel, Taos. Bookmark the permalink. New Mexico, one of my favorite places. I believe I had past lives there. I must have known you before then, because I feel the same!! That would explain a lot, would it not? HA! I miss you! 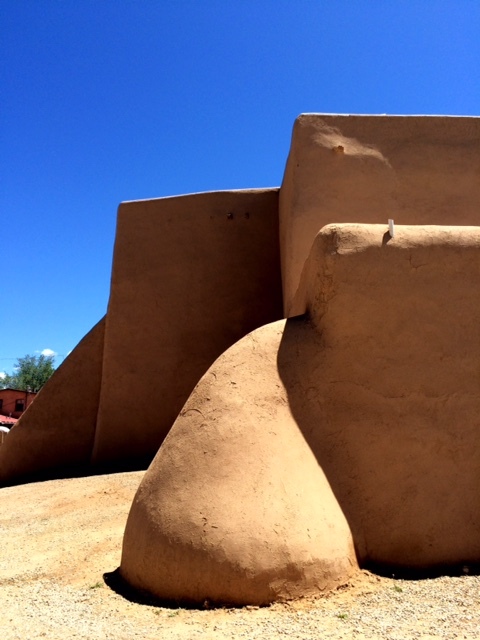 I visited New Mexico many years ago… love this building style. A pleasure looking at your photos, which bring back memories of Ansell Adams and Woody Guthrie too. WOW that’s a lovely compliment! Thank You! Road trips like this are the most wonderful thing; being able to see what’s around each bend in the road can be magical. So much better than air travel!